“To Behave Truthfully under Imaginary Circumstances” – Sanford Meisner’s definition of acting. A standard of perfection that lets us know if we are succeeding with the activity. For example, it’s not enough to build a house of cards, the student must get more specific, ie: build a 3-story house using all 52 cards. A simple and specific reason for needing to do the activity. Urgency: which means they know how much time they need to get this activity done; no more and no less. An activity that does not integrate all of these criteria is not acceptable, and the student starts to learn how to hold themselves to high standards. Any holes in the crafting will keep the improvisation that is to come from fully developing. It will hurt their acting. It grounds the student in the reality of doing. Nothing we do in these first steps is pretend. What that means is that they learn how to really do something under imaginary circumstances. If they choose to paint a picture, they really paint, and really give themselves a standard of perfection to help them know if they are succeeding or failing. It reveals that emotion is a by-product of DOING. The more they REALLY do the activity, and the more they struggle with it, the more likely REAL emotional life will start to emerge (usually frustration). It teaches that the more specific the actor is in his or her crafting, the easier it is to believe in the imaginary circumstances. It begins the exploration of what makes the actor tick, what pushes each individual actor’s emotional buttons. As we start to make the reasons for doing the activity have greater importance (what we call raising the stakes) the actor is forced to craft from personal feelings – what makes them angry, or scared, or exhilarated. Emotional Preparation comes next – and that is the very personal technique that we use to get to a heightened emotional state, on our own, without the assistance of an activity or a partner. It is self-induced emotional life. It’s not our favorite way to connect emotionally but it’s important to be able to do this when the actor has to start a scene already fully alive. This happens all the time in film shoots where filming may pick up over and over again in the middle of a scene. We do this work so that the actor develops an entire repertoire of emotions to bring to the imaginary circumstances. The week–in, week-out emotional workout also helps our emotional life to be easily called up at a moments notice. We can create any emotional life that the character might demand. The Domestic Exercise comes next – this is when the students start to create different relationships with their partners. We make sure that the actor doesn’t lose their moment-to-moment connection for the sake of a full emotional life. Emotion is seductive when it first starts to come up, it feels good to feel! But an audience doesn’t want to sit there watching someone emote. They want to see what the character does THROUGH the emotion. The actor has to be reminded that acting is not emotion but that the emotion will inform how the actor DOES something. Emotion without doing is not acting. It’s an intense and challenging program, but those who dedicate themselves to this work will never be the same, as actors, as artists or as people. Stay tuned – our next discussion will be about how Scene Work is integrated into the first year of Meisner Technique. What does the Meisner Technique Teach? 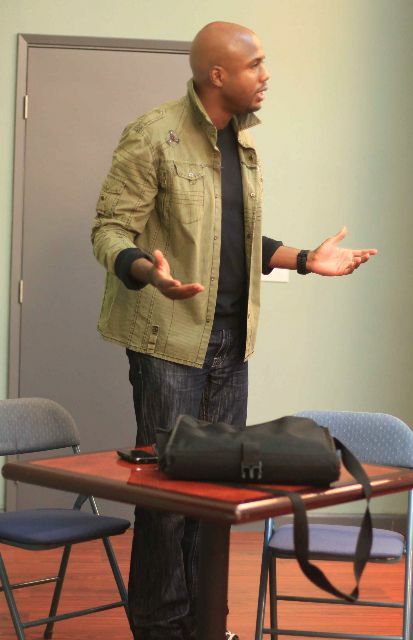 I’m asked all the time “What do you teach actors? What do you learn in a Meisner Technique program?” I mean truly, the skill sets required of actors are often not visible to the untrained eye, the best acting is invisible, it looks just like real life, so I am not surprised that the beginning acting student isn’t sure what it is they need to learn to become a truthful exciting actor. So I usually explain to them that we teach you how to be truthful in your acting, you learn how to act from your instincts and not your head, we fine tune your ability to be in true contact with another actor, how to tap into your imagination to emotionally connect to the dramatic circumstances of the script, you learn to sensitize to the world around you so you can walk in your character’s shoes with emotional truth and integrity…and at some point in this long list they interrupt and ask “how do you do that?” . And that is where it gets tricky, because as “simple” as the Meisner Technique’s structure is, it’s ramifications are profound and address so many of the actor’s needs – it’s difficult to sum it up in a brief conversation. The best way to understand the work is by reading one of the two great books on the process, –William Esper’s book “The Actor’s Art and Craft” or, of course, Sanford Meisner’s book “On Acting”. But these conversations have gotten me to thinking that maybe we could give people a skeletal understanding of the Meisner steps and what skills they address. I do this because it is important for us to understand that the skills actors need go way beyond memorizing lines and hitting your mark. The Repetition Exercise is the most well known phase of Meisner’s work and it lays a really important foundation for the more complex exercises and important scene work that comes down the road. All of which develop the actor’s ability to work off of their partner, work impulsively and stand up for their own feelings. Here is how this little repetition exercise does all that. How to honor their impulses by commenting on the first thing they notice– honoring what they really see before the sensors of politeness and manners set in. Contrary to mom’s advice we want you to speak before you think! We are teaching you to stop the judgment of your observations – so if the first thing they notice is “big nose” they have to say it! We are developing their ability to act from an impulse rather than their intellect, responding from the heart not the head. Just repeating also removes the need to come up with the words also helps keeps the student from thinking too much. How to put your focus and attention on one thing – their partner, and be able to read their partner’s behavior. In a time where we are always distracted, by an email, a phone call, a billboard, re-learning how to stay focused over time is an invaluable skill. Ultimately this is about connecting with another human being and allowing all other distractions to fall away so you can truly be present with someone else, truly be affected by them, and live in the moment. Learning to put your focus somewhere outside of oneself is also an invaluable tool to calm nerves. How to allow yourself to be affected by someone else and how to give your body and voice permission to reveal how you are feeling. We are trained in life not to show our weaknesses, our worry, our vulnerability and that can create a lot of tension that keeps the actor from being expressive. We are trained in life to show only our “best” selves, but as actors we must show our “true” selves. Sometimes students become robotic in this first step for fear of not doing it right. We don’t care about being right we care about behaving truthfully. We remove the idea of being right or wrong and substitute the idea of either being present or not to your partner and to the moment. Furthers the actor’s ability to read behavior, and now makes the actor commit to calling the behavior, without polite editing. Removing the editor in one’s mind is an important aspect of getting actors to be instinctual and emotional. Enhances the impulsive response, which is not within the actor’s control. Controlling the changes in the repetition exercise means the actor is still working from their head and aren’t completely free. Is the beginning step of the actors finding their own point of view, of really taking in how someone is behaving and having an opinion about it. Teaches us to look for the TRUTH in all our work. So that is the REPETITION EXERCISE broken down as simply as I am able. It is such an invaluable foundation to truthful, spontaneous acting – but it is only the beginning. Next I’ll talk about the Independent Activity, Emotional Preparation, Scene Work, Relationships and Shared Circumstances exercises. However, none of these more advanced exercises are doable unless the actor is able to work off of their partner, honor their impulses and have a point of view, all skills that are learned in the Repetition Exercises. Article by Elizabeth Mestnik about the Meisner Technique. Connection: You must know how to listen and give yourself permission to be affected by your acting partners and the imaginary circumstances of the scene. Focus: You must learn how to focus on something outside yourself and how to really do what you are doing… for real, no pretending. Expression: You must constantly work on being free to express emotion: which means allowing your feelings to come out in behavior. Self-Knowledge: Developing your Unique Point of View about the world: you must know how you feel about things, people, and the world around you and what defense mechanisms you use in the real world to keep these feelings at bay. These defense mechanisms must be stripped away before any truthful behavior can be revealed. Impulsiveness: All good acting stems from an actors instincts, by honoring impulses and not intellectualizing the work. We need to learn to act from our gut not our heads. And you must have trained body and voice that is strong and dextrous enough to do all of this. Technique: (noun) A systematic procedure, formula or routine by which a complicated task is accomplished; the way in which the fundamentals, as of an artistic work, are handled. All serious artists commit themselves to learning the technique of their craft, no one is asked to play a Bach concerto at their first piano lesson, but in many acting classes beginning students are given complex scenes on the first day – asked to perform them, given a few perfunctory notes, and this is considered acting training. 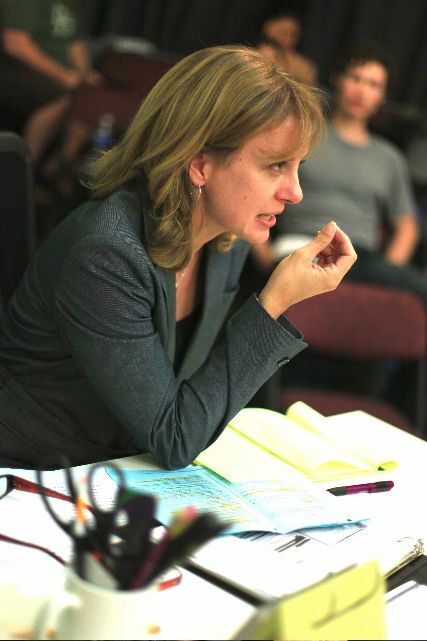 The Meisner Technique, however, takes the training of actors as seriously and as systematically as the training of dancers and musicians. 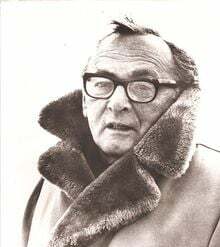 As teachers of Sanford Meisner’s work, we consider a mastery of “technique” (the SYSTEMATIC procedure needed by actors to create great performances) absolutely necessary. The Meisner Technique is a systematic, step-by-step process that allows for actors to gain the skill sets required to create a character and live in the imaginary world of the play. The skills required to act go way beyond how to memorize lines and hit your marks. Everything we do in the Meisner Technique takes us back to those 5 major skill sets – and so how do we gain skills? How does an NBA player improve his jump shot? Not in the game – but through drills, exercises and PRACTICE! – and that is how we improve our connection, our focus, our emotional expression our self-knowledge, and hone our instincts – PRACTICE!